This page is dedicated to my clients who are either professional guitarists, or on a professional track implied by graduate level study. Please support them by visiting their websites for more information, where you may also find links to audio and video recordings. Mark Edwards has been performing concerts since the age of 14. To date, he has won 28 top prizes from international competitions, and has been featured on several recordings. Mark earned a Master of Music in Guitar Performance and Pedagogy as well as a Graduate Performance Diploma at the Peabody Conservatory in Baltimore, while studying under renowned guitarist and Guitar Department Chair Julian Gray. Mark Edwards is currently a member of the Atlantic Guitar Quartet, and engaged in doctoral studies at Shenandoah Conservatory. 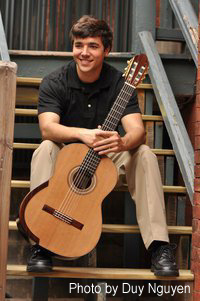 Nathan Mills received his bachelor's degree in classical guitar performance at Virginia Commonwealth University where he studied under John Patykula. He received his Master of Music Performance degree at East Carolina University with Elliot Frank under a full graduate teaching assistantship. Through his project Beyond the Guitar, Nathan Mills has expanded the reach of the classical guitar through his transcriptions and performances of popular themes from television, film, and video games. 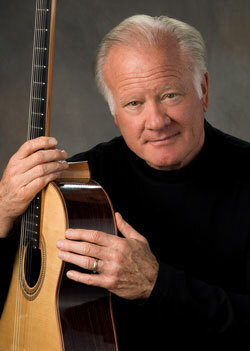 Nathan actively performs concerts and teaches private lessons. 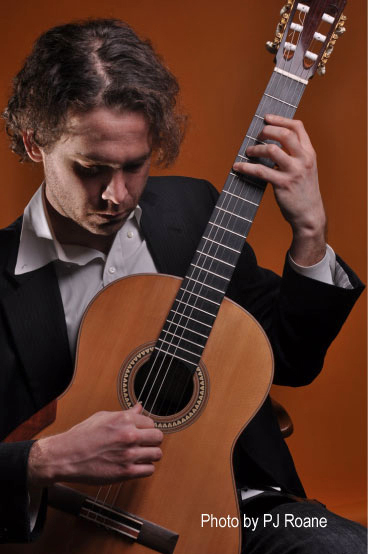 Brendan Evans studied guitar at Phillips Exeter Academy and then the Oberlin Conservatory before finishing his master’s degree at the San Francisco Conservatory, where he studied with David Tanenbaum. 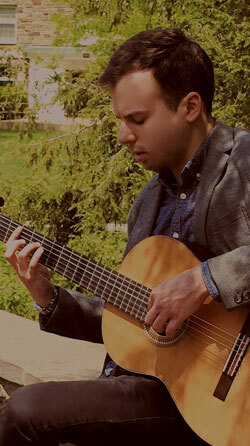 He has been awarded prizes from several competitions in the United States and Canada, including first place at the 2010 Rosario Competition, first place at the 2011 University of Louisville Guitar Competition, and first place at the 2012 Montreal International Guitar Competition. Brendan teaches guitar at the University of Pennsylvania, Saint Joseph's University, and the Settlement Music School in Philadelphia. He performs concerts in the U.S. and abroad. Young Ik Jang was born in Tokyo, Japan and moved to Korea at the age of six. 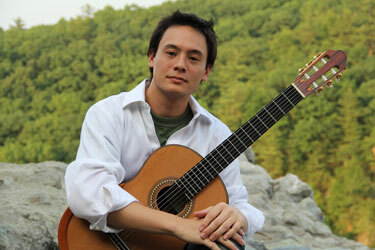 He began to study classical guitar at the age of ten under the instruction of Dae-Soon Kwon, and then Byeong-Woo Lee. Young Ik won first prize in the 2004 Baroque Competition in Seoul, Korea. 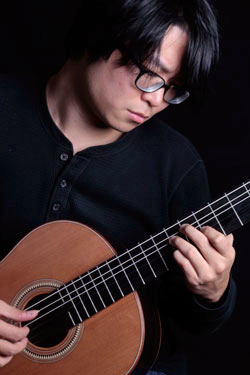 Young Ik Jang earned his master's degree in Classical Guitar Performance while studying with Julian Gray at Peabody Conservatory in Baltimore. Hannah Murphy is an active performer and teacher throughout the Mid-Atlantic and Northeast. She holds a Master of Music degree in Classical Guitar Performance from Mannes School of Music in New York City, where she studied with international concert artist Michael Newman. She achieved her Bachelor of Music degree in Classical Guitar Performance at Rowan University in New Jersey while studying with Joseph Mayes, famed student of Andres Segovia. Ms. Murphy plays both solo concerts and in ensemble with Phil Goldenberg. Austin Flinn received his bachelor's and master's degrees at West Chester University in Pennsylvania, while studying under Glenn Lyons. An avid guitarist since his teens, Austin has spent the past decade developing his performance and teaching skills. As a recent graduate, Austin has developed his repertoire to include works by Bach, Sor, Tarrega, Barrios, Villa-Lobos, Giuliani, and Piazzolla. His concert experience began with a 2014/15 season-opening performance for the Wilmington Classical Guitar Society in Delaware. Dr.Bastepe-Gray holds joint appointments; at the Johns Hopkins Department of Neurology and Peabody Conservatory in Baltimore. 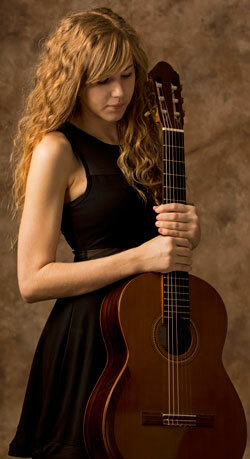 She performs as a soloist, in duo with renowned classical guitarist Julian Gray, and is also a composer and arranger. She has published articles for various music journals including Soundboard Magazine and Communitas. Dr. Bastepe-Gray lectures and consults on health and wellness issues for performing musicians and has participated as a panelist and presenter in forums including the National Guitar Workshop, the Performing Arts Medicine Association, and American Occupational Therapy Association. Additional to directing the guitar ensemble program at Peabody, she is also the Director for the Peabody Occupational Health and Injury Prevention Program. Dr. Bastepe-Gray also serves on the Performing Arts Medicine Committee of the Maryland State Medical Society, the Research and Education Committees of the Performing Arts Medicine Association, the Musicians' Health and Wellness Committee of the International Society for Music Education, and is co-director for the Johns Hopkins Center for Music and Medicine. Dr. Bastepe-Gray holds a medical doctor degree from Hacettepe University in Ankara, Turkey, and a master of music in guitar performance from Peabody Conservatory in Baltimore. Gordon Kreplin graduated from American University in Washington D.C., where he earned his bachelor's degree while studying with John Marlow. He went on to attend the Oscar Espla Conservatory in Spain for two years, where he studied with Jose Tomas. During his time in Spain, he was awarded a scholarship by the Spanish government to attend Andre's Segovia's famed month-long master class "Musica en Compostela" in Santiago de Compostela. Additional to performing concerts, Gordon Kreplin has released several recordings, and has taught music at George Washington University, Virginia Commonwealth University, and the Conservatorio da Horta in Portugal, as well as privately. He currently resides in North Carolina, where he operates Ascention Music Academy with his wife and duo partner Cathy Pescevich Kreplin. Caroline Kubach and Alex Pollock formed Dulcet Guitar Duo while studying with renowned guitarist and scholar Joseph Mayes at Rowan University. At Rowan, they both completed Bachelor of Music degrees in 2015, and Master of Music in Guitar Performance degrees in 2017. 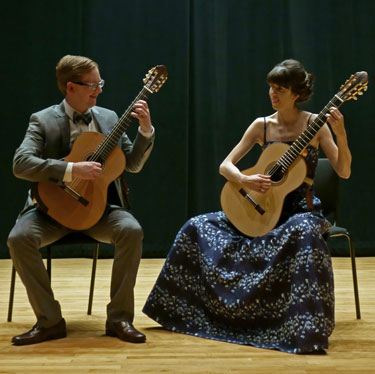 Dulcet Guitar Duo has performed concerts in the mid-Atlantic, in and around New Jersey, Delaware, and Philadelphia, PA., including performances for the Wilmington Classical Guitar Society, Philadelphia Classical Guitar Society, and the NJMEA Classical Guitar Festival. They have also performed in master classes with SoloDuo, Christopher Ladd, and Celil Refik Kaya. 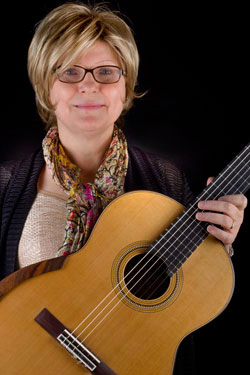 Caroline Kubach and Alex Pollock are also members of the Board of Directors for the Philadelphia Classical Guitar Society, where Caroline serves as Artistic Director, and Alex serves as Membership Coordinator. Please contact me via davidpaceluthier@gmail.com to submit a bio for a listing on this page.